Hollywood's attitude toward historical accuracy has always been, shall we say, fairly contemptuous. Historical figures and events have served as readily accessible fodder since the first train was robbed on film in 1903. And the robbery has continued unabated. Of course filmmakers aren't historians or political scientists; as an art form, motion pictures can elucidate themes or ideas beyond the banality of the real event but filmmakers have no responsibility to be realistic or accurate. Or do they? "History," T.S. Elliot once observed, "is but a contrived corridor." This brings me to Munich, the new drama from Steven Spielberg and award-winning scriptwriter Tony Kushner ("Angels in America"). The much-criticized film depicts the implementation of a plan to revenge the killings of Israeli Olympic athletes at the 1972 Munich Olympics, at the hands of Arab terrorists. 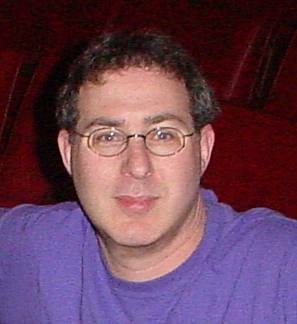 The film is controversial to say the least, not only because the source material - a book by George Jonas, "Vengeance" - has long been discredited by Israelis in the know, but significantly because the depiction of Israeli agents as bumbling and morally conflicted has left many viewers upset and perturbed. The film raises a few issues: were the filmmakers ands writers obligated to be factual and true to the events? Was there an ulterior motive to the film, or in other words, was the intent solely to discredit Israel, making Munich a propaganda film of left-wing politics? Do Jewish filmmakers (and other artists) have responsibilities beyond their muse? Is it fair to criticize a Jewish filmmaker for his views as an American if his Jewishness plays an insignificant part in his artistic makeup? I'm reminded of an interview with author and screenwriter William Goldman. Goldman spent years on research before writing Butch Cassidy and the Sundance Kid, but in the end, invented most of the film. "Most of the movie was made up. I used certain facts. They did rob a couple of trains; they did take too much dynamite and blow the car to pieces...they did go to South America, they did die in a shoot-out in Bolivia. Other than that, it's all bits and pieces all made up." But a scriptwriter isn't a journalist. The best a scriptwriter can hope for is to capture an essence of a person; if a character is the sum of experiences, the writer's challenge is to depict only these experiences that matter. For a real lesson in historical minimalism, go no further than your Bible. No other text achieves so much depth and complexity with such brevity and sparseness. Leaving aside for the moment the debate over Bible authorship, the Bible manages to convey significant aspects of characters with such precision, one is left breathless. Unlike modern fiction, the Bible generally fails to suggest why people behave the way they do; we are meant to interpret action and motive. Film writers can't enjoy that privilege. Most people won't see a film more than once, Rocky Horror Picture Show fans aside, and simply aren't willing to pore over each word and phrase of dialogue. It's also obvious that many so-called historical films use an event as an allegory for a more topical theme. Which brings me back to Munich. This is really Spielberg's second film on the aftermath of 9/11. War of the Worlds blatantly captured the horror and shock of the attack on New York City right down to the literal reduction of victims to ashes. In the end - I'm not spoiling much here since I assume you know the general story - the human race survives, but only through a miracle. The film ends before the survivors (and viewers) can mourn the countless deaths. How would we deal with such carnage? As such, it's impossible to imagine Munich as an unbiased historical document. For his part, Spielberg is always on firmer ground in a literal milieu: sometimes a shark attack is just a shark attack! Beyond that, when faced with difficult moral issues, his simplistic, commercial sensibility becomes a handicap. Munich fails on most levels. It is only as allegory that it achieves any kind of vague success, but really, haven't we seen and heard all of this before? Evil begets evil. Revenge is bad. War is hell. When all is said and done, Steven Spielberg remains, undeniably, Steven Spielberg, the great manipulator, the Saturday afternoon matinee wunderkind director of Raiders of the Lost Ark and Jurassic Park. I present workshops on this very subject - "History vs. Hollywood" - with an emphasis on Jewish issues and the presentation of Israel on film. We look at films that purport to be Bible-based (i.e., The Ten Commandments) and historical epics like Exodus. For more information on any of my workshops and classes, please contact me. Posted by Morey Altman at 1/25/2006 02:12:00 a.m.